Here I am enjoying myself in my favourite box. Mum helped me take the selfie. 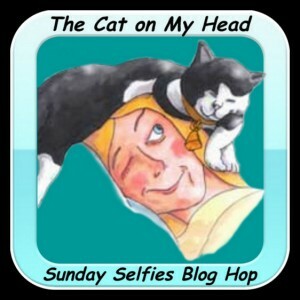 Join all our friends at The Cat On My Head for more Sunday Selfies. You look so sweet in today's selfie, Athena. Beautiful selfie showing your green eyes ! What a beautiful selfie, Athena! Enjoy your box. Oh, you just can't beat a good box. 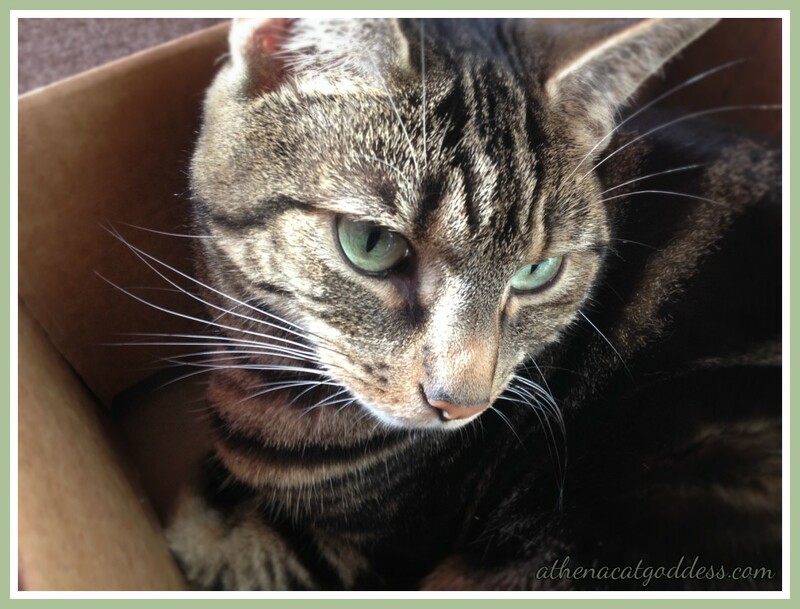 You look just lovely in your box Athena! Hope you have an easy Sunday, sweet girl. Athena you make thee box look turrifick!!!!! Wishin you a furabuluss week an Lady Marie also! That's a purrfect selfie, Athena! Boxes are a favorite at our house, too. Purrs! Excellent! Yous looks marvelous darling! That really is an adorable selfie!!! You took a perfect selfie today. I'm glad you have a box to enjoy. Toby has a box he loves, too! You look very cute.